Successfully Added LED Color Changing Shower Head to your Shopping Cart. LED color changing shower head with HOT, WARM, COLD water detection colors. The CVSCL-8100 lighted shower head changes color with the temperature of the water, ensuring you know by sight exactly what to expect before you jump in. Even flashes red if the water is too hot (above 46 deg C) so you do not burn yourself. 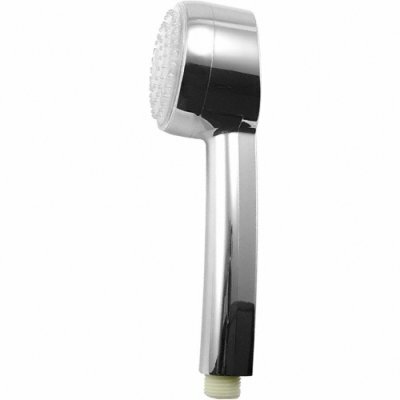 Great for new installations or retrofitting (includes are necessary hardware) into existing spaces, this shower head can be appreciated by both the old and young alike. Bathroom retrofit projects are expected to be quite popular in the next few years as people look to save money by staying home instead of going on expensive trips. By featuring the CVSCL-8100 lighted showerhead in your store, you can both dazzle your customers and cash in on the upcoming boom of stay at home improvement projects. As always, it is in stock in our warehouse and is available for immediate bulk quantity orders. Feature it on your webshops frontpage for some easy sales, don't delay, order yours today! I ordered this item on a friday and i got it with UPS thenext friday. Already taken a shower with it and must say easy to make it work. Thx for good shipping and thx for nice item. Be warned, if you purchase this unit you will spend moor time in the shower than ever before. Not to mention your kids will have to show all of your friends how it works. This is a fun product with fantastic novelty value. I would and have, recomend this product to everyone.